One of Cedars’ Residents told us that he felt like it was like being back with his family, back in the days… Thank you! That is a lovely compliment. 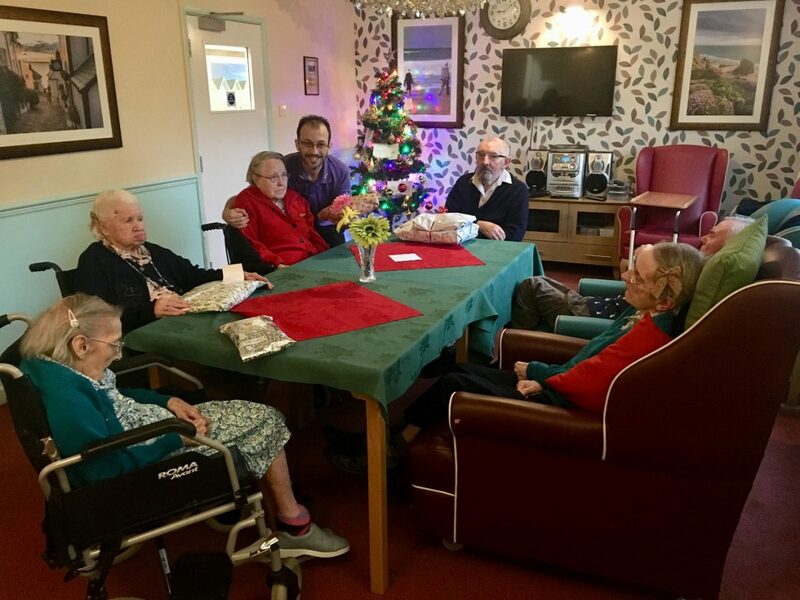 Getting up early to find your presents under the Christmas tree – many of the Residents in Pines found presents from their Families waiting to be opened, along with Marco’s help it was great fun to see what everybody had to unwrap. 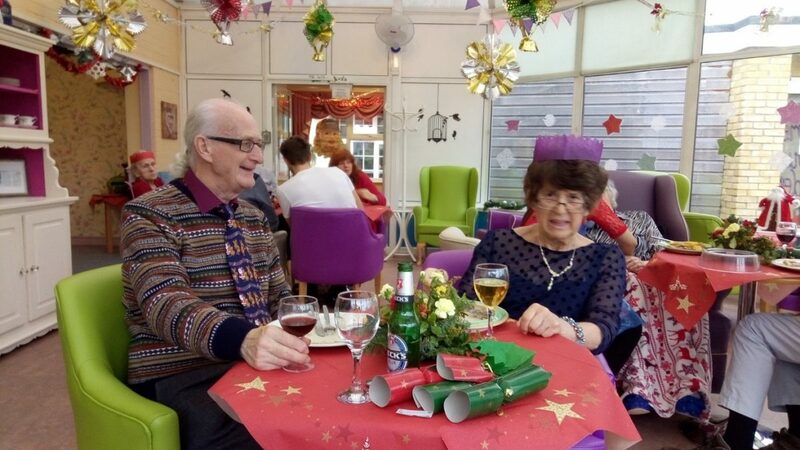 The Residents and the Guests in Poplars enjoyed their Christmas Dinner in the lovely setting of Peggy’s Café. 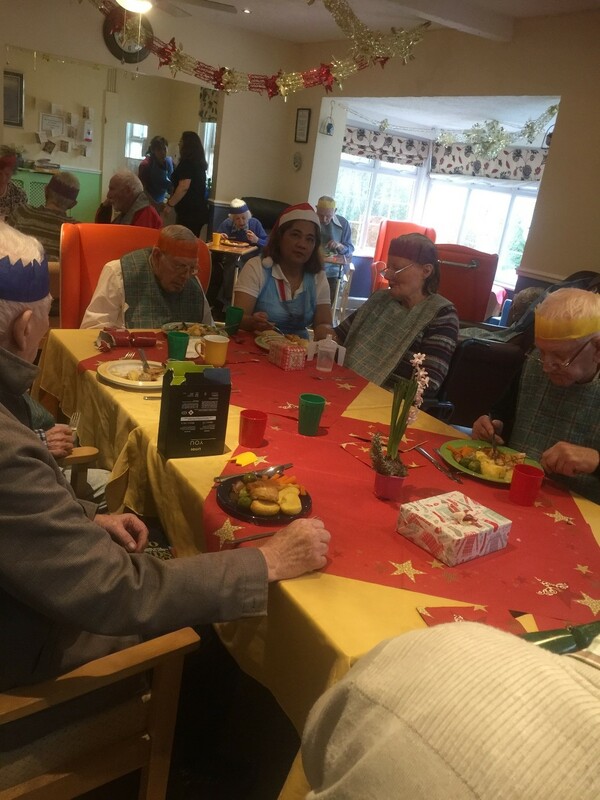 Everybody enjoyed their festive dinner with Christmas crackers, beer and wine. Many Visitors confirmed that they loved being with their Family members in a restaurant like ambience. 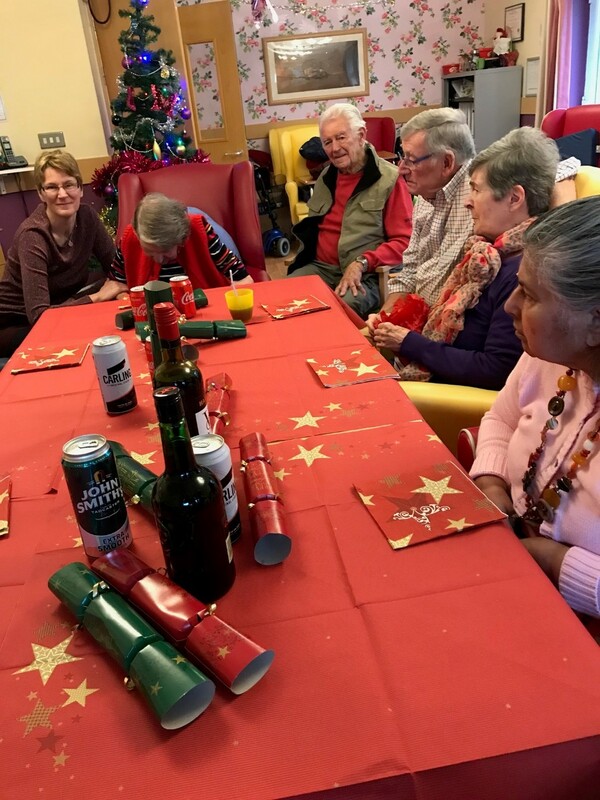 A Peaceful reflection in Upper Cherry Court – Residents and Visitors alike enjoyed their Christmas Dinner and were invited to share stories from their Christmas past. It was a nice afternoon to remember. 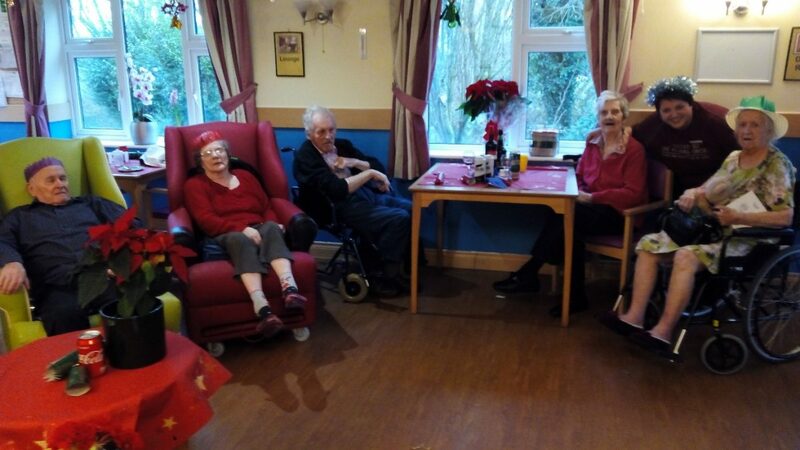 Christmas was celebrated in each of Birchy Hill’s 5 Residents’ Communities. Ladies and Gentlemen in the Lower Cherry Court are waiting to see the Queen’s Speech after having a lovely Christmas Dinner.